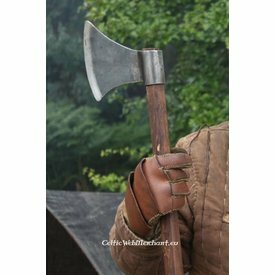 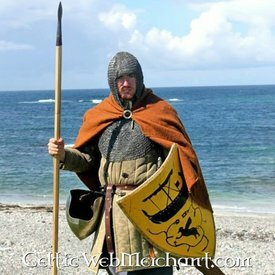 This Viking throwing axe is a replica of several originals. 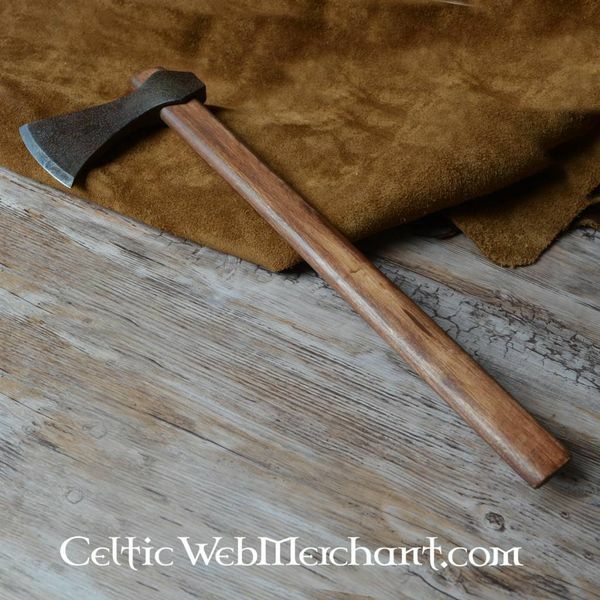 Axes with blades like this were used for both warfare and woodworking. 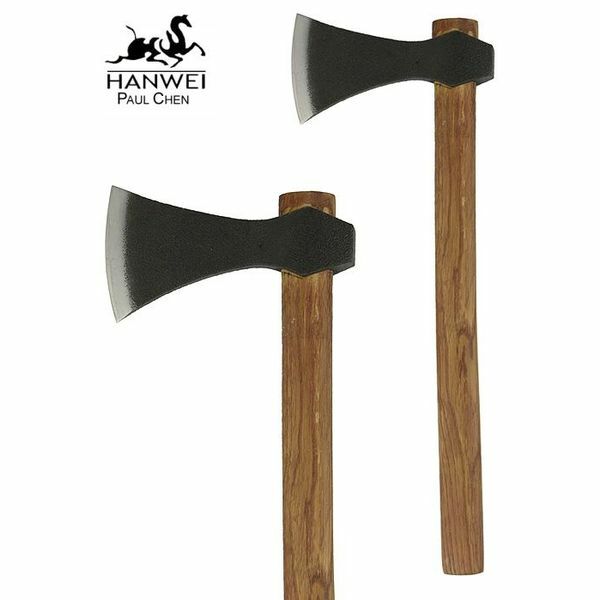 This fine throwing axe is completely functional. 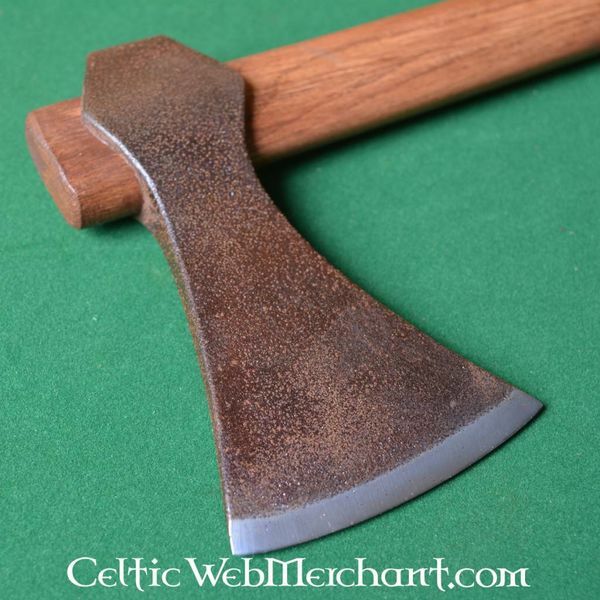 It is sharp but on request it can also be blunted for a surcharge. 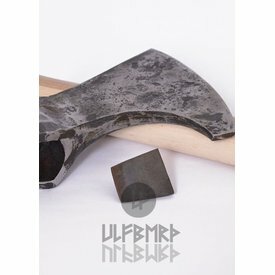 The axe blade is made of carbon steel with a hardness of 52 HRC. 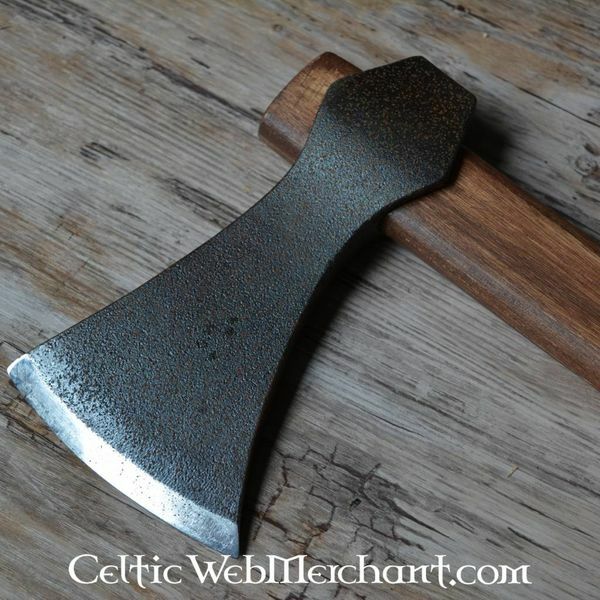 It has a patina layer so it looks like an original antique axe. 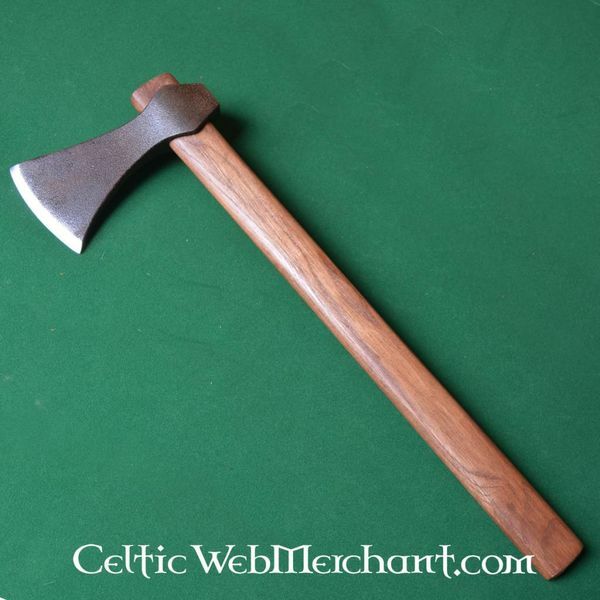 This axe has a hardwooden shaft and is 44,5 cm long. 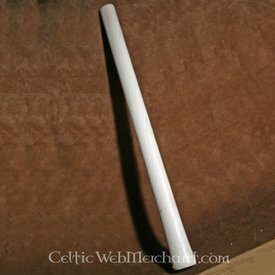 It has a blade of 8,2 cm and it weighs 567 grams.